Having a linoleum knife along with a utility knife is beneficial, as both can cut a variety of materials. These materials include woods, plastics, cardboards, tiles, vinyl sheets, and linoleum stuff. 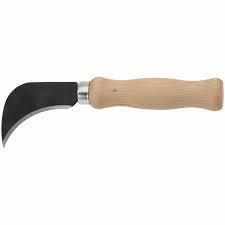 Of the two, a linoleum knife is exclusively for cutting thin floor coverings, which can be of linoleum or vinyl. 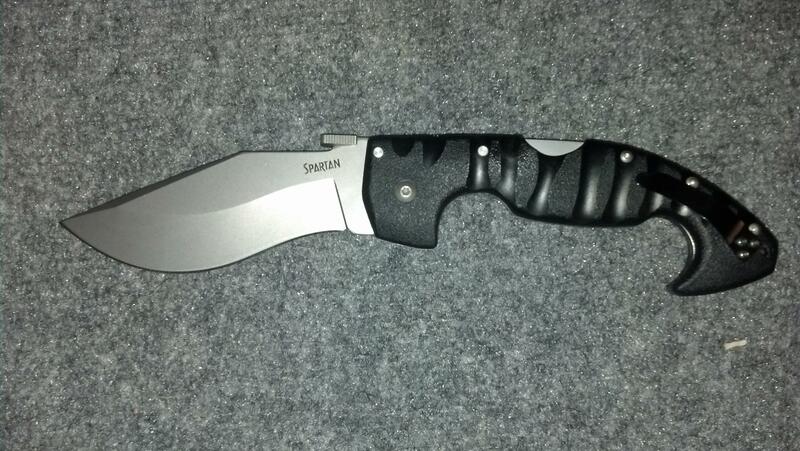 However, these days, you also get utility knives that can effectively deal with these tasks as well. Still, what they still lack is the curved blade that is specifically made for handling roofing and floor covering tasks. A utility knife with a straight blade, when used along with a linoleum knife, can handle diverse sub-tasks of the same task, without changing the blades. Otherwise, using only a utility knife also suffices, but you may have to change the blade for performing those different sub-tasks. So, do you already have a utility knife and are looking for a linoleum knife at an affordable? If yes, then the LK25 linoleum knife from Allway Tools can be your suitable option. Shipped in a carded pack, this tool is a ready-to-go knife for the intended work. In other words, there is no need to change the blade or knife for the aforementioned cutting tasks. 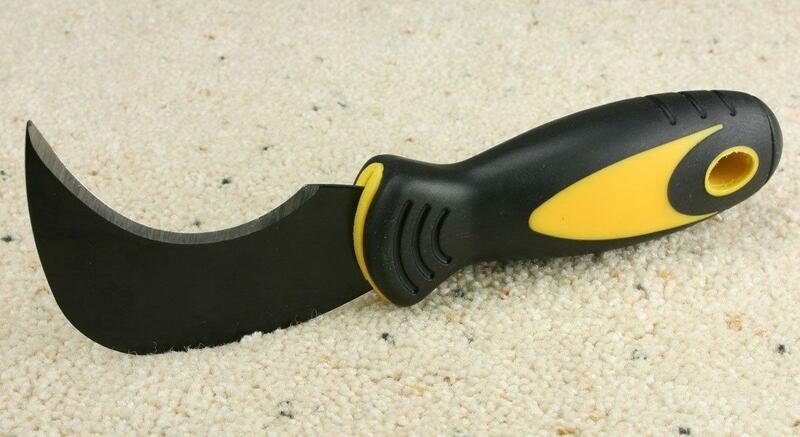 This linoleum knife can easily and efficiently handle linoleum cutting and trimming for floor covering and roofing. It can also cut vinyl tiles, vinyl, drywall, roofing materials, and carpet and roofing items. Specifically, it can cut linoleum pieces of custom sizes. 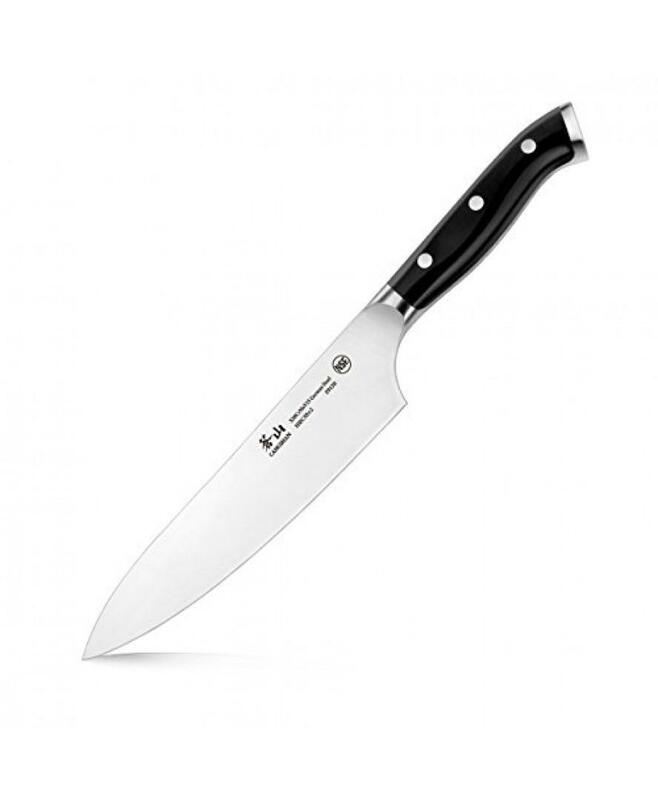 The knife features a steel blade with a wooden handle. The blade of this Allway knife is made using the tempered, carbon steel due to which it slices via linoleum as if it is butter. This steel is known for its two great qualities namely, maximum toughness and optimal strength. The result? Well, they are responsible for edge retention until a longer time than expected, precise cuts, and great sharpness. Yes, this blade has all these benefits. 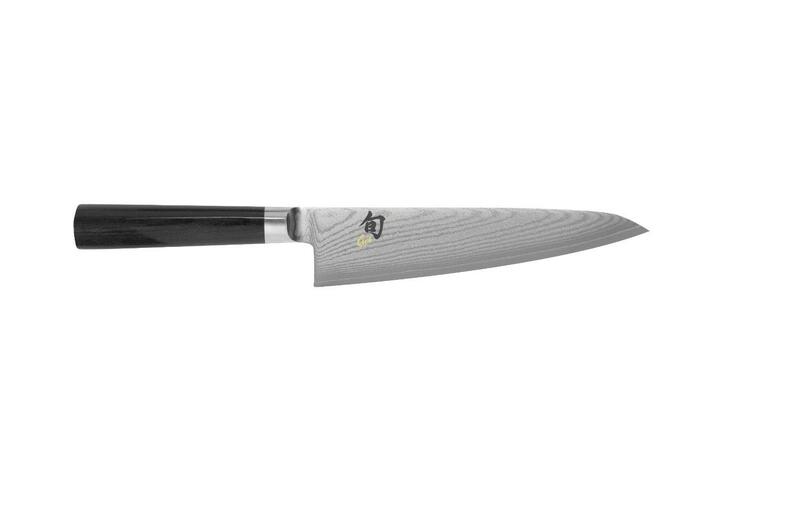 Due to a sharp edge and precise cuts, many chefs and outdoor enthusiasts prefer a carbon steel blade, and not a stainless steel one. Although the blade stays sharp, you can re-sharpen it. While this gives the benefit of being environment-friendly by avoiding disposal of several blades, it might not be an easy task. This is because of the high level of hardness. The blade is sharp right out of the box. This sharpness is retained, no matter how many times you use the knife. Another commendable and most wanted feature is the curved edge, and not a straight edge. Tapering toward the ground, the edge is known for its cutting by pulling motion. In this motion, there is no need to put in an additional effort that becomes futile when you push the blade simultaneously into the item’s surface. This is something a straight edge does not take care of. Moreover, it is easier as well as faster to cut linoleum stuff with a curved blade than its straight counterpart. The blade also makes it easier to extend your arm for reaching the targeted surface. Further, the edge is plain, which is another plus point. It supports not only push cutting, but also a wider purpose to accomplish than the other types of edge. 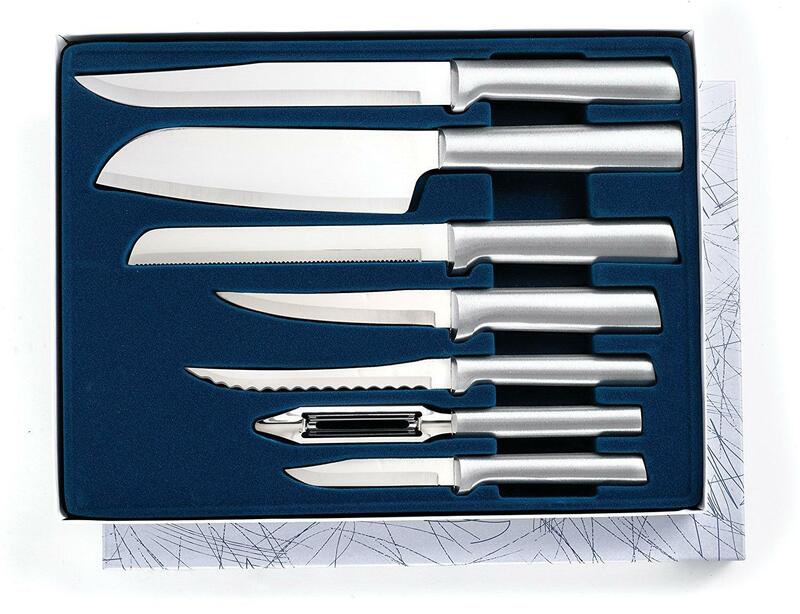 Such an edge takes care of steady pressure due to which the knife gives you a clean cut. Further, it does not slip, when used for handling synthetic materials. 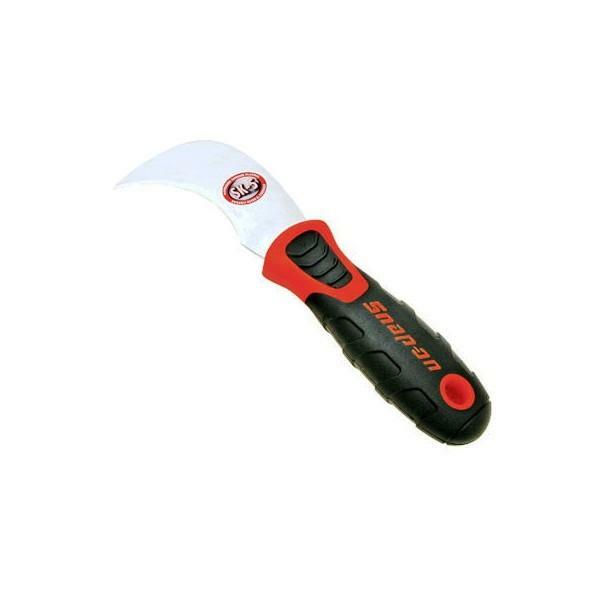 This linoleum knife has a handle of a professional quality. It is made up of hardwood and holds well in the palms. The wood makes it possible to experience a secure grip so that you can have a precise outcome. This Allway Tools LK25 steel knife has the right amount of blade thickness and length for cutting and trimming linoleum and other similar materials. Its quality and performance do make an appeal to add it to your toolbox.